Trinity College School is a co-educational, independent boarding/day school located on 100 acres of rolling countryside in picturesque Port Hope, Ontario, Canada, one hour’s drive east of Toronto. 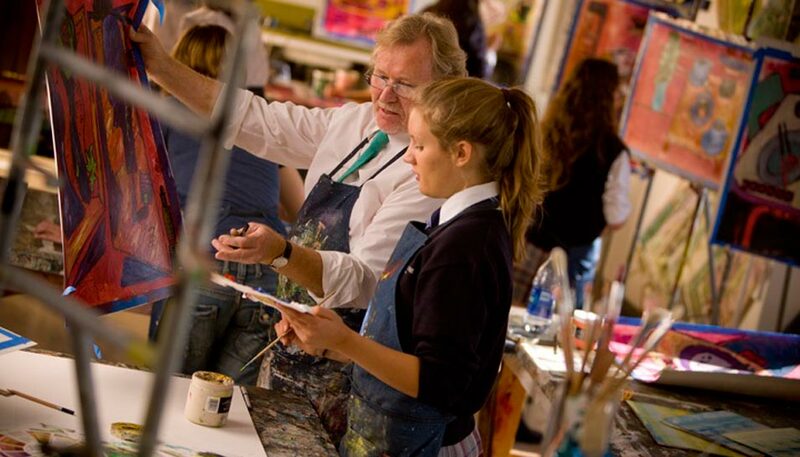 Our Senior School, Grades 9-12, includes 450 students, approximately 60% of whom are boarders. Our Junior School includes nearly 100 day students from Grade 5 to Grade 8. 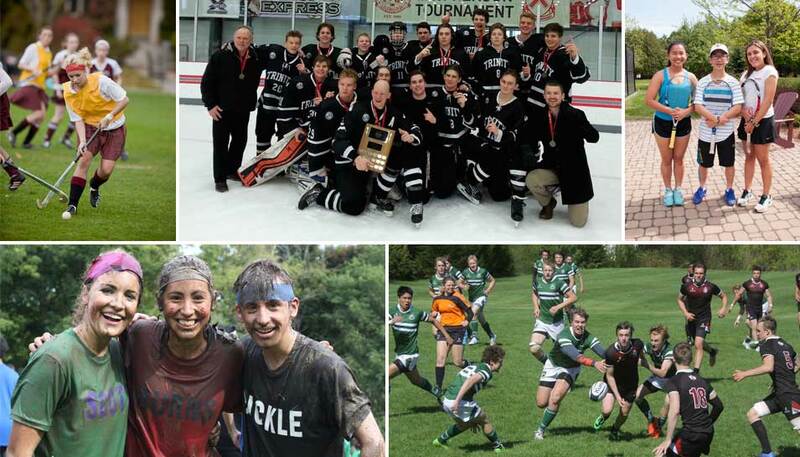 Established in 1865, TCS is one of Canada's oldest and most respected educational institutions. The School places a balanced emphasis on academics, service learning, athletics and the arts – as both a long-held TCS tradition and a rethought, reinvigorated approach to 21st century education. Our caring and genuine community is home to over 250 boarding students from 30 countries around the world. When your school is also your home, housemates become a second family, and housemasters, teachers, school counsellors and advisors provide constant support and encouragement. In addition to our housemasters and their families who live on campus, many faculty and staff members live only a short drive from the School. As such, our faculty become closely acquainted with students in and out of the classroom as they fill many roles as teachers, coaches and advisors as well as overseeing study and directing co-curricular arts, clubs and groups. It is through this close-knit environment that shared values and a culture of respect are born and naturally extend to all members of the TCS community. TCS has an indoor pool, two gymnasiums, squash courts, indoor rowing facilities, extensive outdoor running trails, and a new state-of-the-art athletics facility opening in 2017, while our caring and dedicated Health Centre and athletic therapy staff can take care of any ailments, from sniffles to sprained ankles, right here on campus. In the kitchen, TCS chef Pat McClean and his staff create delicious, varied and healthy options (with an ice cream bar for those special treats!) and cater to special diets and allergies (vegan, gluten-free, halal and more). TCS offers organized activities so our boarding students can benefit from exploring the local area and nearby city attractions; in addition, our Capture Canada trips on the long weekends allow boarders to explore Canada from coast to coast. Our beautiful green 100-acre campus is the envy of many other independent schools. Trinity College School is a comfortable expanse of buildings and playing fields in the small town of Port Hope, about an hour's drive from Toronto. We enjoy a view of Lake Ontario and a stimulating change of seasons. Our safe and rural setting offers our students daily exposure to nature, provides unique learning opportunities and nurtures healthy habits of the heart and mind. TCS also supports its students in becoming responsible, environmentally aware leaders of tomorrow. This involves role modelling best practices in environmental studies, co-curricular programming, facilities, green space and school culture. Trinity College School's challenging academic program over four years of high school emphasizes a liberal arts philosophy. Students are engaged equally in the arts and sciences during their first two years of study. In Grade 11 and 12, students begin to specialize and many take Advanced Placement courses. Trinity College School is proud to be one of only 10 schools in Canada selected by the College Board to offer the innovative Advanced Placement (AP) Capstone Diploma™, a two-year program of study for Grade 11 and 12 students that focuses on critical thinking, collaborative problem solving, and research skills in a cross-curricular context. Class sizes at TCS are small, ranging from 12 to 20 students. With academics at the forefront, TCS allows its students to excel in many areas of life. Students are encouraged to experiment as they travel the road of adolescence, and the abundance of activities creates an exciting momentum at the TCS for all those involved. With six boarding houses and four day houses, all TCS students have a place to call home and a group of friends with whom they share deep bonds. Each house is designated for male or female students and for each house there is a housemaster and assistant housemaster, several faculty advisors who visit regularly, and senior students who serve as leaders. Students reside in the same houses throughout their time at TCS. Our house system instils pride and family ties through intramural debates, team sports, the pursuit of the top house cup and many other spirit and trust-building activities. A typical weekday at TCS starts off with a mandatory breakfast sign-in, which is followed by morning chapel. After chapel, students attend classes that are each 70 minutes in length, divided by a junior and senior lunch period. After classes, there are either sports practices or arts periods to attend to fulfill the minimum of five hours of co-curricular activity each week. Dinner is followed by an hour of free time or arts commitments before students have a compulsory study period of two hours. After study, students have some free time to take a trip to the store, make a phone call to Jim's Pizza for a night time snack or to just hang out in the Davies Student Centre before they must return to their rooms for the night. After Saturday sports or any other co-curricular commitments are finished, the weekend at TCS starts. There are a number of weekend activities offered throughout the year. Once a month, Sunday morning begins with a late chapel service for all boarding students followed by a Sunday brunch. The rest of the day is free for the students to catch up on work, relax or go into town. You can follow campus life and learn more about TCS on Facebook, Twitter, Instagram and YouTube and through Head Lines, a thought-provoking blog exploring TCS life by Headmaster Stuart Grainger. Parents of TCS Bears receive regular newsletters and communications, including special access to parent forums and information sites. Opened in November 2015, the Learning Commons includes the Senior School library, guidance, academic support and administration areas, as well as a welcoming main entrance and a large, open commons area at the heart of the School. The commons area acts as a “living room” to the School, with a massive fireplace inviting students and staff to spend time relaxing, reading and socializing. 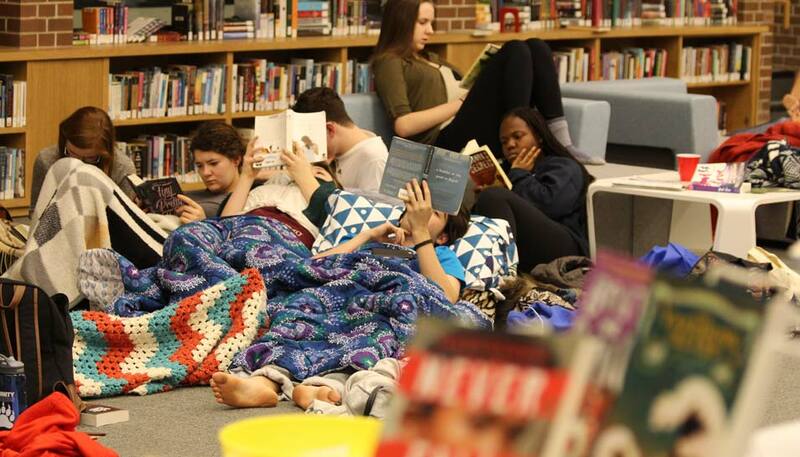 It is also the site of large and small-group activities, from classes to bake sales, and from university visits to student classwork on display. Our centrally located Senior School library is a spacious facility of more than 740 square metres. A librarian and two library assistants are available to help students and support teachers by offering instruction in locating relevant, quality resources. The library is open seven days a week; teachers and stewards (student volunteers) supervise the library during evenings and on weekends. The library’s collection of almost 10,000 volumes includes materials from all areas of study. Hundreds of fiction, non-fiction and reference books are added to the collection each year. The library subscribes to 30 print journals and magazines, as well as a comprehensive selection of electronic databases, providing access to thousands of journal articles and quality Internet resources. These databases are available on and off campus through an intranet site, updated frequently to ensure that every area of the curriculum is being met. The library uses an integrated system to catalogue and circulate materials; students can search the catalogue, renew materials they have checked out, and place holds for books online. Additional resources include eight computer workstations, two printer/photocopiers and a scanner. Library programmes include weekly and monthly book clubs, author visits, frequent contests and more. Student suggestions for new books and innovative programmes are welcome and encouraged. The impressive theatre and music building continues to be a focal point on campus. While preserving the School's unique architectural heritage, LeVan Hall incorporates the latest communication and presentation technologies giving Trinity College School resources unmatched by any other independent school in Canada. With three principal rehearsal rooms, a computerized lab for composition and eight private practice studios, the School's exceptional music programme has access to enviable resources. 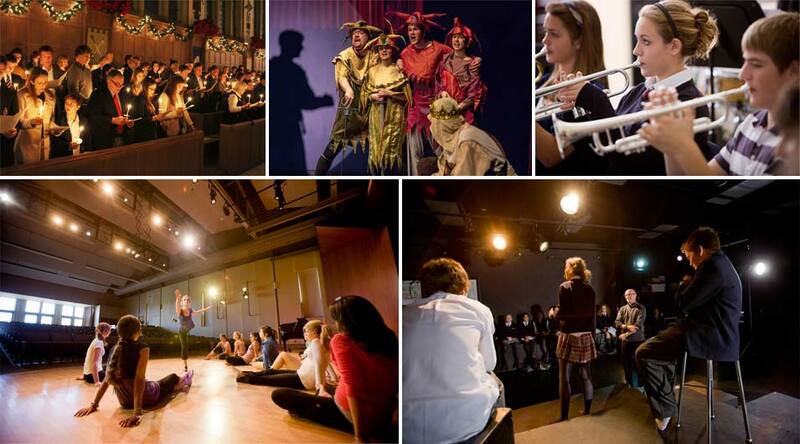 A drama classroom accommodates the School's increasingly popular drama programme and the curriculum's inclusion of technological aspects such as lighting, sound and special effects. The space is also dual-purpose; with a 2,000 square foot sprung floor, it functions as a dance studio. Opened in the fall of 2011 and located between LeVan Hall and the Ernest Howard Squash Courts, the nearly 10,000 square feet visual arts wing is designed to include several “green” building features and consists of two studios on the main level, with additional studio and classroom space on the lower level. In the fall of 2003, Trinity College School became home to a brand new space observatory and telescope that launched a new era of space study and star gazing at the School. The Anne Currie Observatory and telescope are used by TCS students for a variety of space-oriented projects. Students can make high-resolution maps of the moon and capture images of major nebulas, star clusters and planetary images. They can also track comets and search for asteroids. In addition to incorporating the technology into student work, the telescope is often open for star gazing events to amateur astronomers and members of the community.